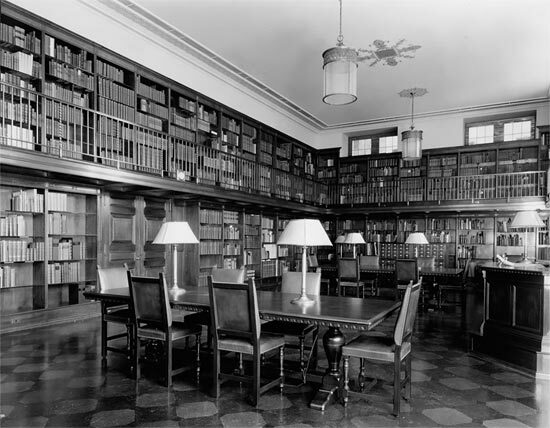 In 1924, eleven years after Pierpont Morgan's death, J. P. Morgan, Jr. (1867–1943) transferred ownership of the Library to a board of trustees along with an endowment of $1.5 million to provide for its maintenance. In creating the Morgan as an institution dedicated to serving scholars and the public alike, it constituted one of the most momentous cultural gifts in U.S. history. Almost immediately, it became apparent that this new, more public role of the institution could not be carried out within the intimate and fragile interiors of the McKim structure. 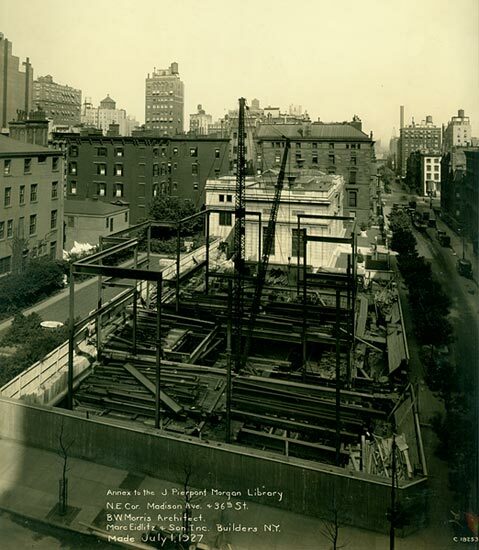 In 1928, Pierpont Morgan's brownstone on 36th Street and Madison Avenue was demolished and on the site a building was constructed to house an exhibition room and reading room—expressing the dual mission of the institution. Known as the Annex, it was connected to the original McKim building by means of a connecting gallery called the cloister. This project was carried out by the American architect Benjamin Wistar Morris (1870–1944). Morris's additions were similar in layout and materials to the original library and were designed to integrate the two buildings as closely as possible. 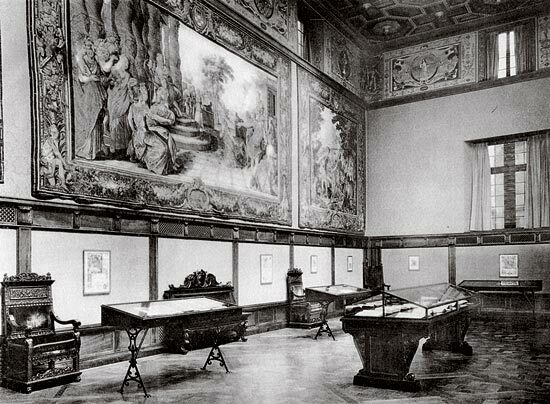 H. Siddons Mowbray, who had created the ceiling decorations for the Rotunda and Mr. Morgan's Library, was recalled to provide the ceiling paintings for the Annex. The complex not only doubled in size with the addition of the Annex, but there was a new entrance. 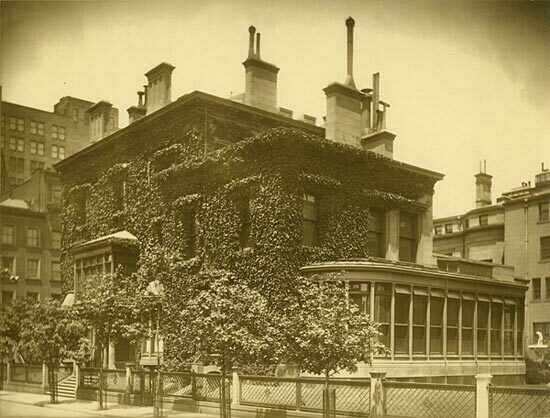 Visitors would enter not through the great doors of the original library at 33 East 36th Street but through the new entrance at 29 East 36th Street.